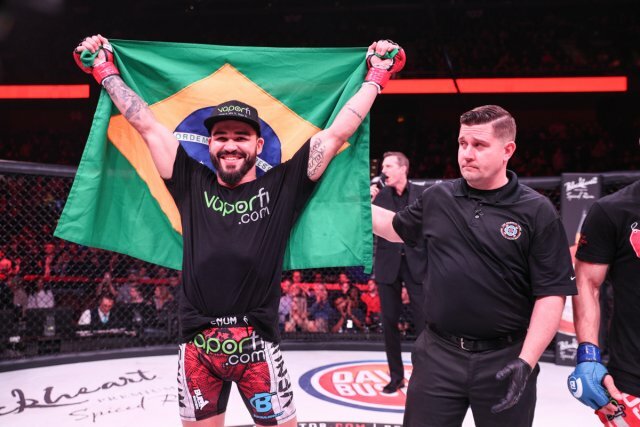 Bellator Newcastle was capped off by a close split decision that was won by veteran Patricio Pitbull. Bellator legend Patricky Pitbull edged past Sunderland native Ryan Scope in the main event at Bellator Newcastle. Despite entering the fight as a massive favorite, Pitbull had his work cut out for him. The gameplan was clear for Scope, who posted a sizeable height and reach advantage over his opponent. Staying on the outside and working the kicks and jabs, he had success in the opening exchanges. However, later into round one, Pitbull pressed the action and landed a beautiful knee which seemingly left Scope finished. Despite this, Scope recovered brilliantly and was allowed back to his feet. After a clear first round for the Brazilian, Scope got into the fight with a technical and methodical approach, landing the jabs, slipping in and out of range. With a close second round, the fight came down to the third. The third and final round saw Scope dominate, landing numerous jabs and kicks to his opponent and doing well to evade any incoming attacks from his opponent. A clear round for the former BAMMA champion left the judges pondering on a close second round. Here's your recap of round three between @PatrickyPitbull and @RyanScope1. The verdict was a split decision, going in favor of Patricky Pitbull, much to the dismay of Scope, his team, and his fans.